Rosatom’s nuclear fuel division TVEL signed an addendum to its current contract for the supply of nuclear fuel to Bushehr NPP. According to the document, TVEL will supply advanced TVS-2M fuel bundles instead of the currently used UTVS assemblies. The first shipment of TVS-2M fuel assemblies to Iran is scheduled for 2020. Before that, Russian engineers will make all necessary calculations and submit technical documentation for the Iranian regulatory authority to license the new fuel. On the part of Iran, the addendum was signed by representatives of the Atomic Energy Organization of Iran and the Nuclear Power Production and Development Company of Iran. “In comparison with UTVS fuel, the new-generation TVS-2M bundles have higher uranium density, fuel burn-up, and in-pile stiffness. The new version of nuclear fuel will make the power plant more cost-effective and reduce the amount of spent nuclear fuel,” TVEL’s statement says. According to Alexander Ugryumov, TVEL Vice President for R&D, transition to TVS-2M is an optimal solution for VVER-1000 reactors using UTVS fuel in terms of technological consistency. The modified fuel is already used in operating nuclear power units in Russia. Bushehr Unit 1 is a unique project. Its construction began in 1975 by West German reactor vendor KWU, but was later suspended. In the 1990s, Iran signed an agreement with Russia to resume the construction. 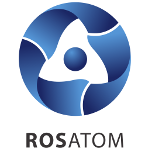 According to the deal, Rosatom had to install a VVER-1000 reactor into the reactor building erected by KWU. Unit 1 was brought online in 2011 to become the first nuclear power plant in the Middle East. Its commissioning made it possible in 2014 to sign a bilateral protocol to the Russian-Iranian agreement dated August 25, 1992. The protocol provided for the possibility of building up to eight more nuclear power units in Iran. On November 11, 2014, the parties signed a contract to construct Units 2 and 3 at Bushehr. The Bushehr-II project was launched in late 2016.